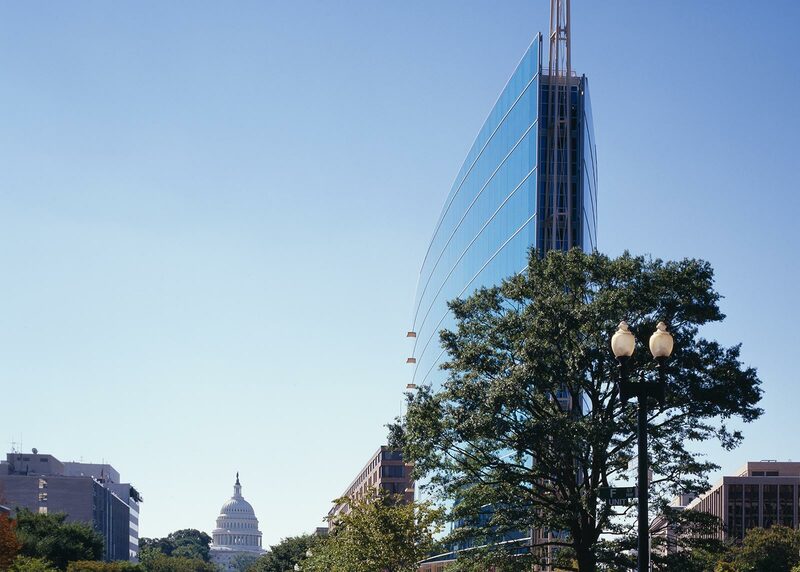 The aim of this new corporate headquarters was to create a landmark building that would give a national association a higher profile and better visibility from the halls of Congress. 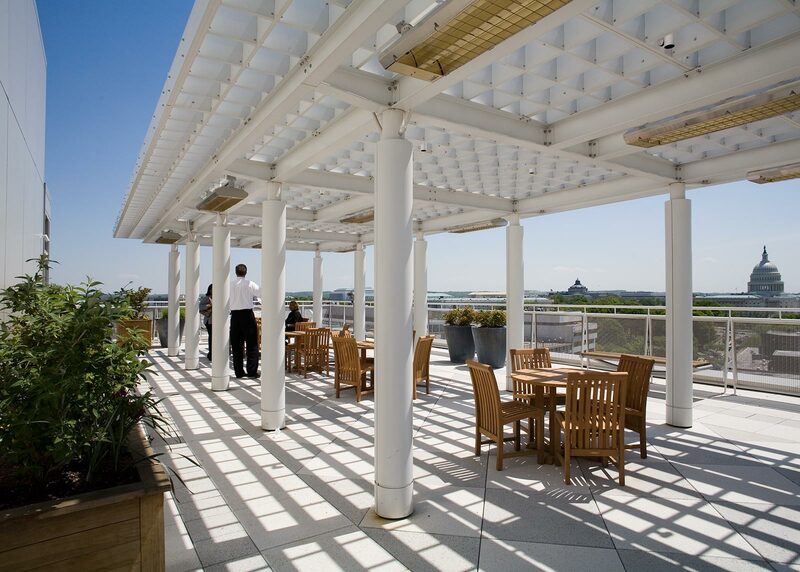 The design team accomplished this goal through GUND Partnership’s innovative architecture and landscaping that enhances the visual force of the building and its dramatic setting on Washington, DC’s Capitol Hill. Gardens and fountains anchor the space at ground level and on the building’s roof, while an entrance garden welcomes visitors and blurs the perception of indoor and outdoor spaces. 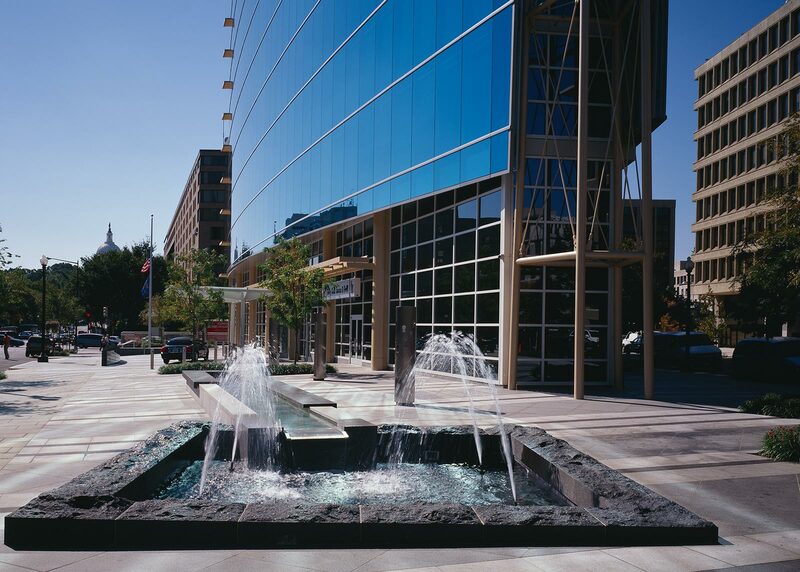 Other features enhanced by landscaping include a grand plaza, an outdoor café, meeting areas, a fountain, and sculpture. Plants provide seasonal interest and color. London Plane Trees line seating areas and provide shelter for dining and other activities. 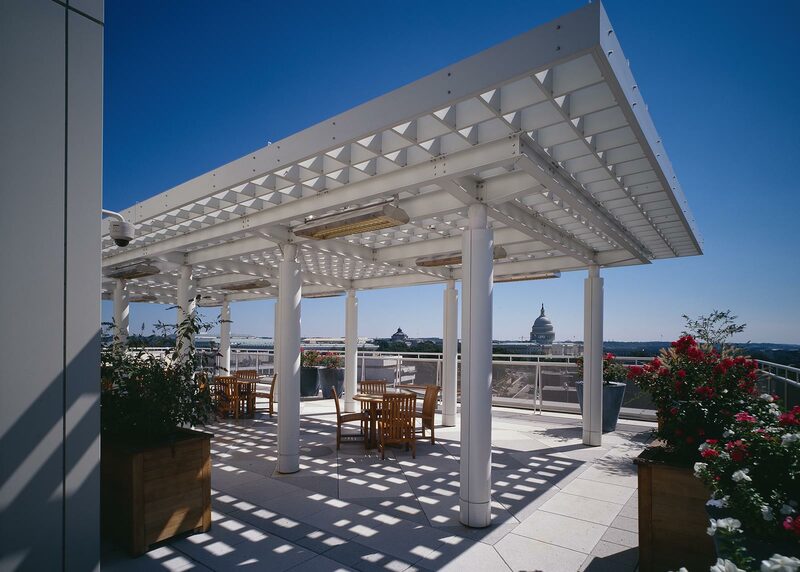 The design converts an adjacent National Park Service reservation into a public park, integral to the site. 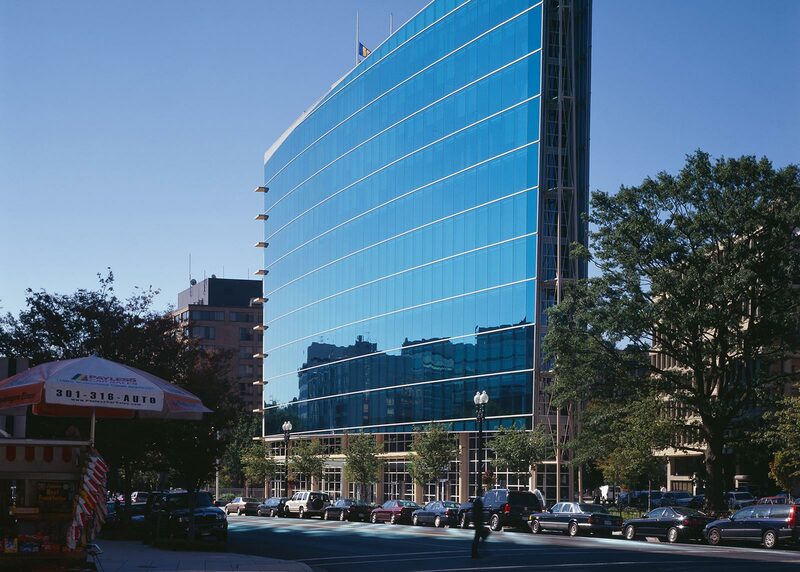 Located on what was a small, derelict brownfield site, the project is Washington, DC’s first LEED-certified new building and is still considered to be amongst the nation’s most environmentally friendly commercial developments. 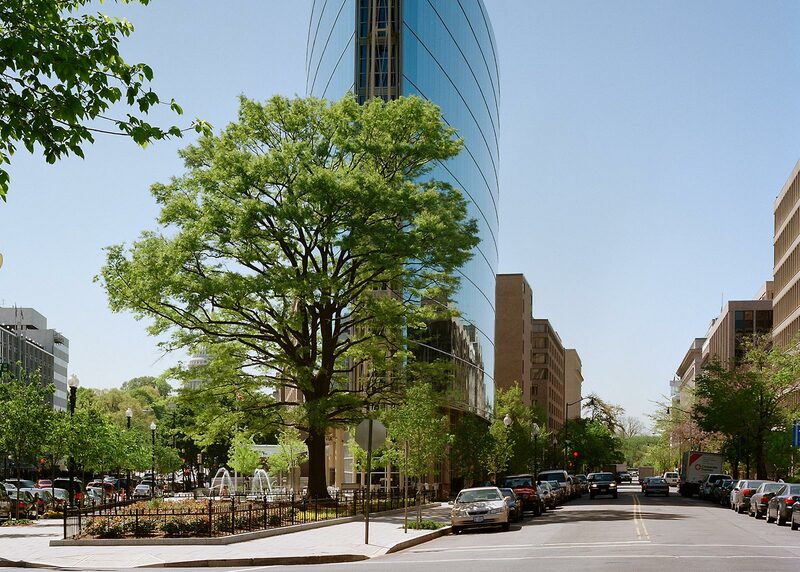 The LEED-Silver rating recognizes a state-of-the-art irrigation system, which uses recycled storm water, as well as the project’s advanced techniques of streetscape planting, in which trees have been placed in “structural soil” to promote long-term growth.